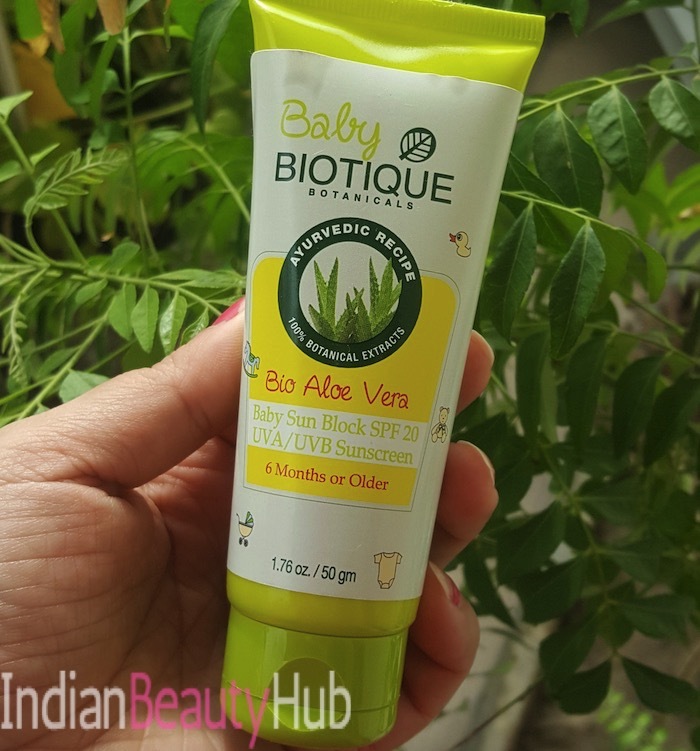 Hello everyone, today I’m sharing the review of the Baby Biotique Bio Aloe Vera Baby Sun Block SPF20 UVA/UVB sunscreen. I’ve been using this sun-block cream on my daughter for the past one month. My daughter is almost 17 months old now. Generally, I have used only Chicco skin care products for her till now. 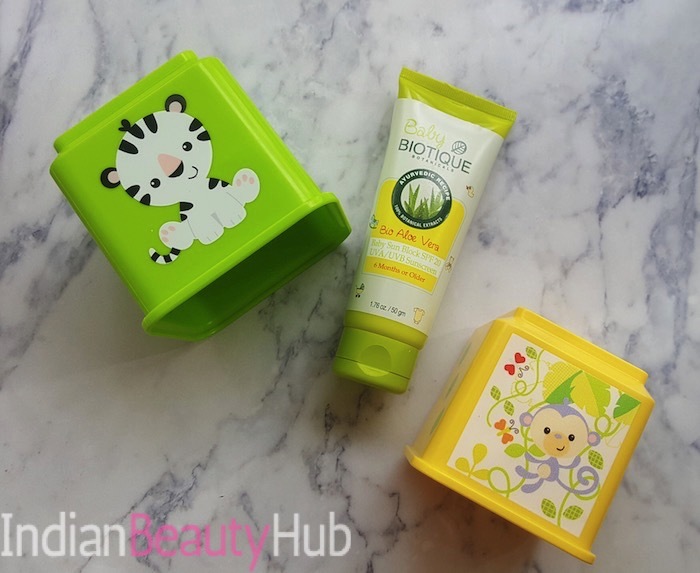 But I lost her Chicco sun block during our trip last month and I bought Biotique sunscreen as the Chicco one was not available there. I’ve tried many Biotique products for myself and I completely trust this brand. And since this is a herbal product for babies, I used it on my baby without any hesitation. 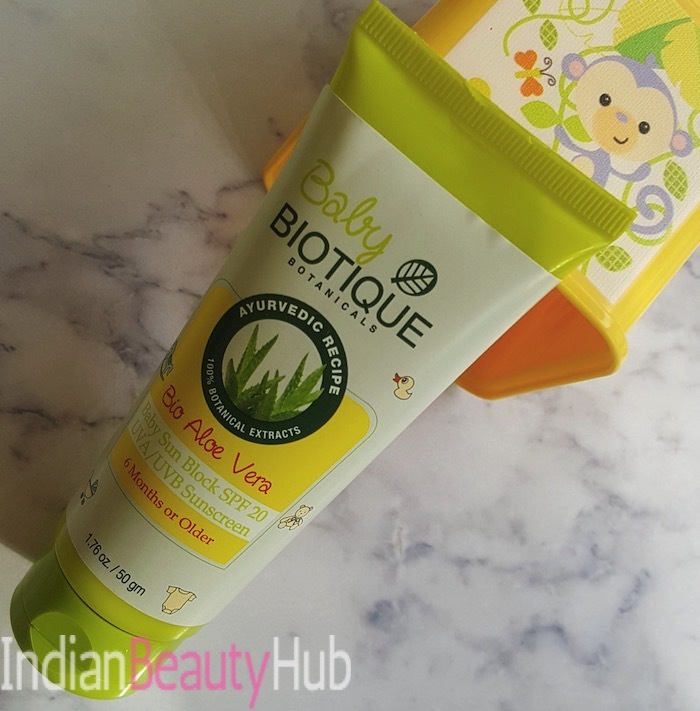 Packaging: Baby Biotique Bio Aloe Vera Baby Sun Block comes in an easy to use squeeze tube with flip cap. The tube packaging is very sturdy, hygienic, travel-friendly and contains all important information. 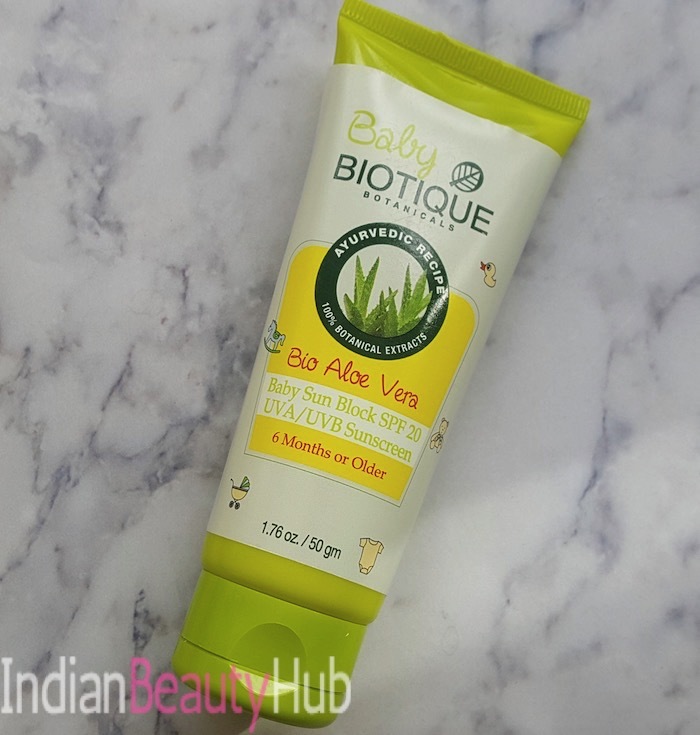 Price & Availability: The price of the Baby Biotique Bio Aloe Vera Baby Sun Block is Rs.155 for 50g. It is easily available at local departmental stores and leading online shopping websites like Firstcry, Nykaa, Amazon, etc. My Experience: The sun block comes in a white color and has a mild herbal scent. Its creamy texture spreads easily and gets completely absorbed into the skin with a little massage. It gives slight cooling sensation when applied on the skin. 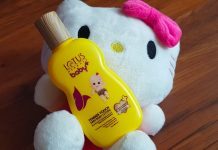 I apply this sun block on my baby only when we are going out in sun. I generally don’t apply sunscreen on my daughter when we are staying indoors only. I massage it nicely on her face, neck, arms, and legs before heading out in the sun. 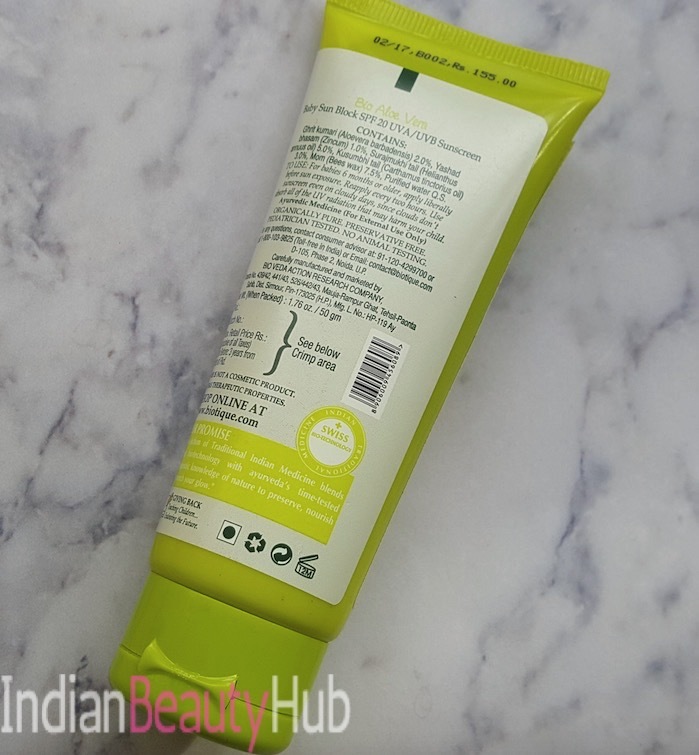 It is quite moisturizing yet feel very light on the skin. 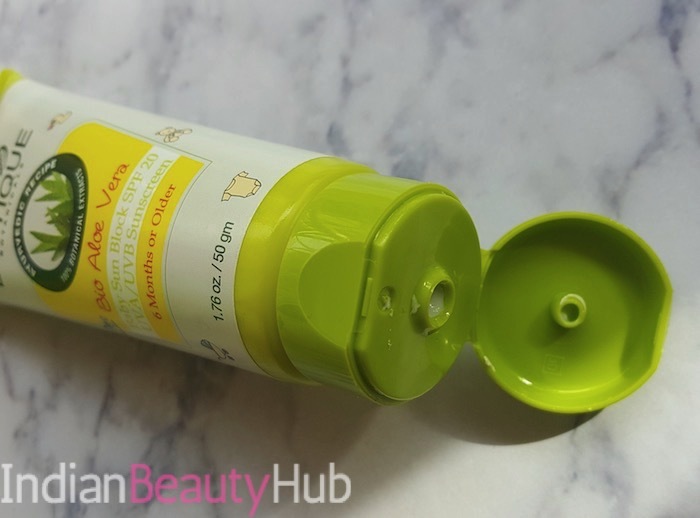 It has SPF 20 that is good enough to protect the skin from harsh sun rays. 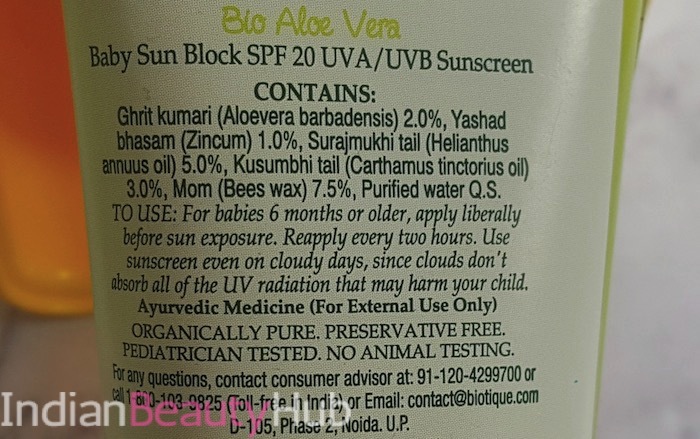 I’ve not noticed any allergy or irritation on my baby’s skin after using this sun block. It is enriched with 100% botanical extracts. 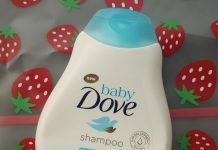 Moisturizing enough to hydrate dry baby skin. Doesn’t give an uncomfortable sticky feeling. Didn’t cause any allergy or sunburn to my daughter. Comes with SPF 20 and UVA/UVB protection. Suitable for 6 months + babies. Its fragrance is not very pleasant. Only key ingredients are mentioned on the tube. It is neither sweat proof nor water proof. 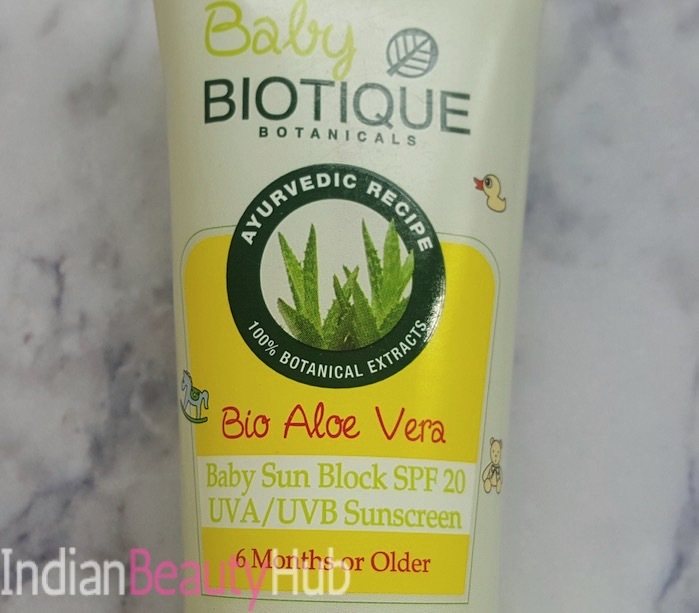 Overall, Baby Biotique Bio Aloe Vera Baby Sun Block is a mild baby lotion that provides protection against the harmful sun rays. It is non-sticky and doesn't leave the whitish cast on the skin. 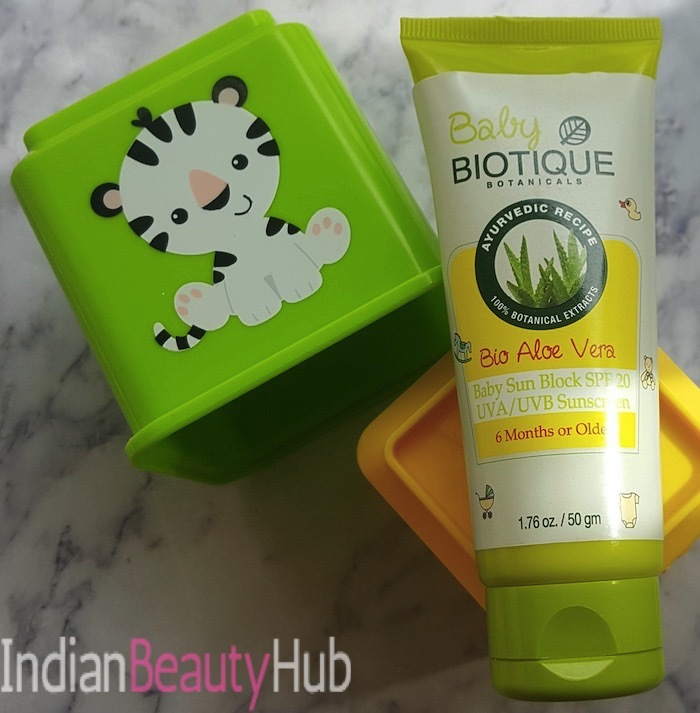 It contains aloe-vera and sunflower oil that heals and protects soft baby skin. 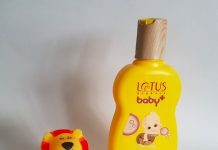 If you are looking for an affordable, natural and chemical free baby sunscreen then you can try it. Recommended!